Elon Musk, CEO of Tesla Motors, recently announced that all the electric cars coming off Tesla’s assembly line will now be equipped to be full-on autonomous. It appears that the quest for truly self-driving cars – ones where you don’t have to sit in the driver’s seat anxiously hovering over the wheel in case human intervention is required – is upon us. This next generation of autonomous vehicles from Tesla will be outfitted with an impressive array of gear. Eight surround cameras will provide 360-degree visibility up to 250 meters. There will be 12 updated ultrasonic sensors capable of detecting both hard and soft objects from a distance almost twice that of the existing Tesla Autopilot system. I assume “soft” objects are humans and other furry creatures that go “squish” when hit by a vehicle traveling at a high rate of speed. In addition, the cars will be equipped with what Musk calls a “supercomputer” leveraging Tesla’s neural net that interfaces with radar, sonar, and vision sensors. As impressive as this all sounds, it won’t be fully operational just yet, so for the time being, humans will remain firmly in the driver’s seat in the case where the expected comes out of nowhere. Despite outfitting all new Tesla vehicles with advanced gear it won’t initially ship fully-enabled. Instead, the new system will run in “shadow” mode and send data back to Tesla engineers for analysis to improve upon the technology. It’s essentially in test mode and engineers will pore over vehicle log files for vital clues. Customers will still be able to take advantage of some of the new features of Tesla’s enhanced Autopilot and updates to the system will be sent out over the air. Sort of like the Windows 10 automatic updates. At least that part doesn’t require user intervention. Self-driving cars have come a long way since the first concepts were on the drawing board way back in the 1920s. Actual road-worthy vehicles were introduced back in the 1980s. Two projects from this era were Carnegie Mellon University’s Navlab project and Mercedes-Benz’s Prometheus Project in cooperation with Bundeswehr Munich University. More recently, Google’s self-driving electric car developed by Google X has received a lot of attention. It should be noted that Google has never operated one of their self-driving cars on public roads without a human driver on board. It’s actually currently against the law in the states that even allow such vehicles on its roadways and there are still many obstacles to be overcome before humans can confidently, and safely, move into the back seat and take a snooze while fully entrusting the driving to a computer. Resistance to self-driving cars comes from several quarters and a fatal accident involving a Tesla Model S electric car in May of 2016 while driving in Autopilot mode has only added fuel to the fire. Current autonomous vehicle technology requires ideal weather conditions and there are still some visual cues that systems are not yet capable of detecting and interpreting. Autonomous cars are blind, deaf, and dumb to hand signals from other drivers and pedestrians such as traffic control officers. Upon further thought, perhaps these systems are better off not knowing what certain hand gestures mean. In the Tesla accident, neither the car nor the driver was able to detect the white side of a tractor trailer against a bright Florida sky as it made a wide turn directly in front of them. The vehicle never applied the brakes and instead drove full speed under the trailer eventually snapping a telephone pole a quarter mile down the road. 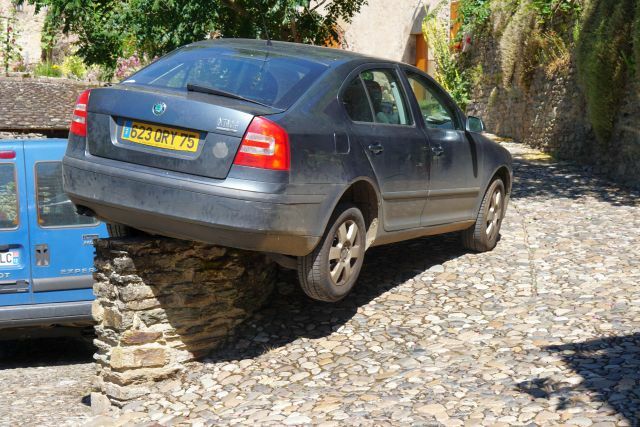 Under most circumstances, a human driver could be forgiven for such a fatal error, but autonomous vehicles are being held to a much higher standard to the point where they are expected to be almost infallible. Beyond the resistance on the part of the public towards full adoption of self-driving cars, there is also a maze of laws and regulations to hurdle, both at the federal and local levels of government. 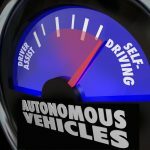 Currently, Nevada, Florida, California, Michigan DC, and Virginia allow testing of fully autonomous cars on public roads with a human driver on board. Resistance from the general public and industry comes in the form of people who don’t want to give up control. For years, luxury and sports cars have been promoted precisely on the merits of the driving experience. We’ll probably need to pry the steering wheels from car enthusiasts’ cold, dead hands. From an economic standpoint, self-driving vehicles will potentially put a lot of workers out of a job who earn their livelihoods from driving. Uber is currently testing autonomous vehicles for use on their platform and it appears that Mobility as a Platform (MaaS) is emerging as the new “cloud-based” model. There are also the ever-present security concerns. Conventional vehicles with advanced electronic control systems have already been successfully hacked, at least for demonstration purposes. There are concerns about information sharing and privacy concerns with the vehicle-to-vehicle (V2V) communications systems of self-driving cars. Cruder forms of compromise exist in the form of interference and jamming of these communications systems and then there is the ultimate nightmare scenario of turning a fully-autonomous car into a robotic bomb. Roadside bombs have bedeviled US troops for years in Middle East war zones. A moving car bomb programmed to strike a specific target with no driver to take out with weapons fire is almost too horrible to contemplate. These threats will create new areas of demand within the cybersecurity field and perhaps in the not too distance future, Cybrary.it will offer training courses in Autonomous Vehicle Security certification. Lest we risk portraying too ominous a future with autonomous cars in it, there are certainly many clear benefits to be had from these vehicles. An overriding motivation for their development is to reduce collisions due to human error. This extends to the increasing cases of aggressive driving and distracted driving due to cell phone use that we’re seeing so much on the road today and keeping intoxicated drivers away from the wheel will have huge implications for road safety. Reduction in traffic congestion due to closer following distances afforded by advanced sonar and radar systems is anticipated. It’s also expected that car theft will be greatly reduced by the elimination of steering wheels and the remaining driver interface. Certain industries will probably take a hit with a full rollout of self-driving cars. There should be less demand for auto insurance, towing services, and body shops. The term “disruptive” is highly over-used, but in the case of autonomous cars, I think we can make an exception. Their day may not be here yet, but it’s coming and it’s probably not too far off. Now if you’ll excuse me, I need to call my broker and have him short Allstate, Maaco, and LoJack.